Located near Castellina-in-Chianti on calcareous clay & alberese stony soils in the Chianti Classico wine zone, Bibbiano is a noble 220ha wine estate (of which 25ha is under vine) owned by the Marrocchesi Marzi family since 1865, but whose history goes back to 1089. Fast forward to 1942 when Sangiovese guru Giulio Gambelli arrived at Bibbiano, advising Pier Tommaso Marzi and bringing with him the high quality clone of Sangiovese Grosso from Montalcino (as good plant material was hard to come by in those days). Between the '50s & '70s the estate was restructured under Signor Gambelli's guidance. The first vinification took place in 1969 and the inaugural commercial bottling in 1970. Since the 1990s, fifth generation Marrocchesi Marzi, Tommaso and his brother Federico, are now at the helm. 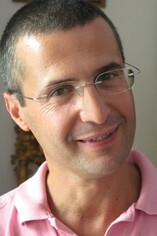 In 2001 Giulio Gambelli introduced one of his 'disciples', Signor Stefano Porcinai to take over the reins at Bibbiano; Signor Porcinai had played a important role as agronomist for the Consorzio Chianti Classico, notably during their recent Project 2000 that identified the best qualitative clones. In fact since 2000 Bibbiano has renovated almost 60% of their vineyards to densities of 5,500 plants/ha; trellised in cordone speronata. Vinification is traditionally long in cement vats followed by approx 6 months ageing (for the Chianti Classico) in increasingly large slavonian botte. Production/anno is approx 45,000 bottles of Chianti Classico. They also produce a superior cuvee called 'Montornello'. Bibbiano's wines are classically structured, pale in colour, perfumed and fine-boned; one of today's finest producers of Sangiovese wines. Classically Montornello, from the eastern sandy clay slope that lies beside the Bibbiano estate, it's cool and discreet, yet the 2013 vintage is deliciously present in the form of spearmint (mentuccia) freshness and zip, alive with hay-like notes and suave elegance. Vinified in stainless steel with a 22-day maceration, the wine is then aged in tonneaux and barriques. Drinking now but should develop nicely in bottle for years to come. A very pleasing example of Chianti Classico from vineyards on the eastern side of the estate, this has rich fruit, a touch of spice and that ripe ‘bloodiness’ typical of young Sangiovese. The wine is full-bodied, with soft, brambly fruit, balanced out by velvety tannins. These delicious bottles are great to drink now, but will age superbly for up to a decade from the vintage. Tommaso Marrocchesi Marzi is determined to raise the profile of both the Chianti Classico region and its wines, along with that of his 220-hectare historic estate (of which 25 hectares is under vine), which has been owned by his family since 1865. Based in the commune of Castellina-in-Chianti, the Bibbiano wines have long sought to express, through the Sangiovese grape, the character and quality of their alberese-clay soils. It has been helped along the way by oenologist Giulio Gambelli, and more recently by Stefano Porcinai. There’s such a difference between Bibbiano’s sensual, fleshy Castellina Chianti Classico wines and, say, Badia’s sinewy, salty examples from their village of Gaiole. The 2010 vintage puts this in sharp perspective. 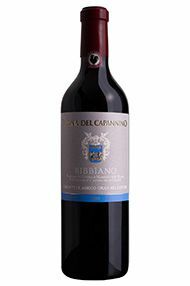 Bibbiano’s Vigna del Capannino plays another card: that of the Brunello clone of Sangiovese used in the vineyard. 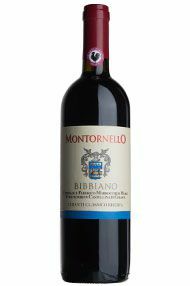 Hence the darker, ruby colour, and the unctuous nose which is a sensual ride of crushed velvet and super-ripe mulberry fruit, reminding you more of Montalcino, than Castellina. Yet it’s not cumbersome; that’s the joy of Chianti Classico, especially from a fine noble estate as Bibbiano. Yes, there’s a gorgeous brambly roll but it ticks over energetically, with refreshing saltiness and levity.